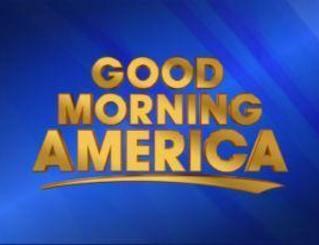 Good Morning America is Highlighting Plant City! Hey everyone! Travis here with an update to a previous blog post. If you didn&apos;t have a chance to head out to the Strawberry Festival this year (and shame on you if that&apos;s the case), don&apos;t worry because Good Morning America will be air a profile on the 2009 Florida Strawberry Festival Queen and Court, from Plant City. Tune in locally to Channel 28, WFTS ABC Action News at 8:00 a.m. this Saturday, April 11. Queen Lauren Der, First Maid Sara Beth Newsome, and court members Megan Cochran, Joclyn Emerson and Morgan Feaster will be featured in an "American Snapshots" story. The piece will include previously shot footage including the girls before the Festival, behind the scenes during the 74th annual event, as well as images that capture some of the beauty of Plant City during winter strawberry season. I don&apos;t know about you all, but I love it when parts of the Tampa Bay area are featured on National TV! Ok, keep checking back for more updates about Tampa Bay area events and awesome things to do in Tampa Bay!